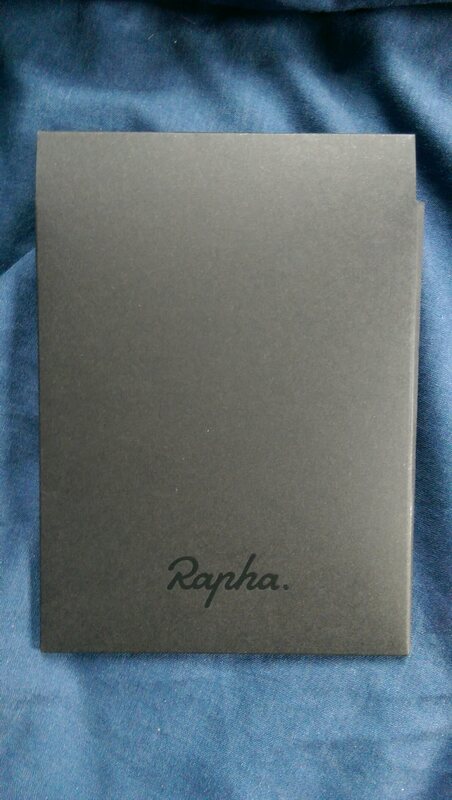 After all my riding over the Christmas period, written about here, the fruits of my labours arrived in the post. 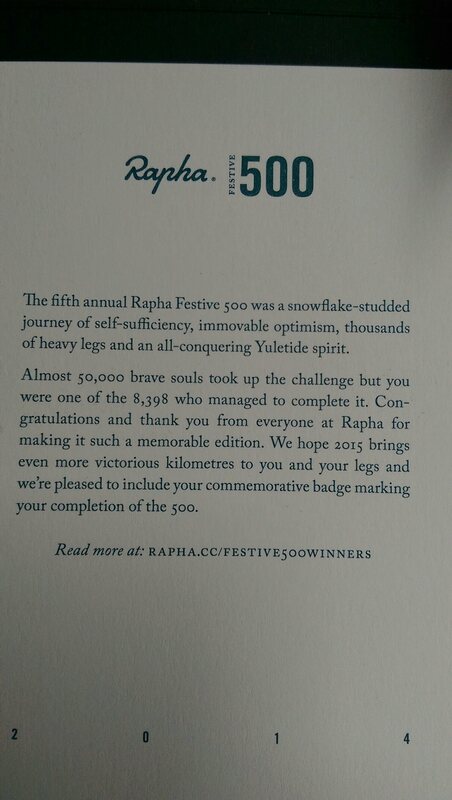 Aside from the patch badge thingy, it came with a postcard full of pictures of data from the collective riding of the Festive 500 this time around. Unsurprisingly the most successful country at achieving the Festive 500km in 8 days between Christmas Eve and New Year’s was Australia with their southern hemisphere sun (frankly this is cheating). 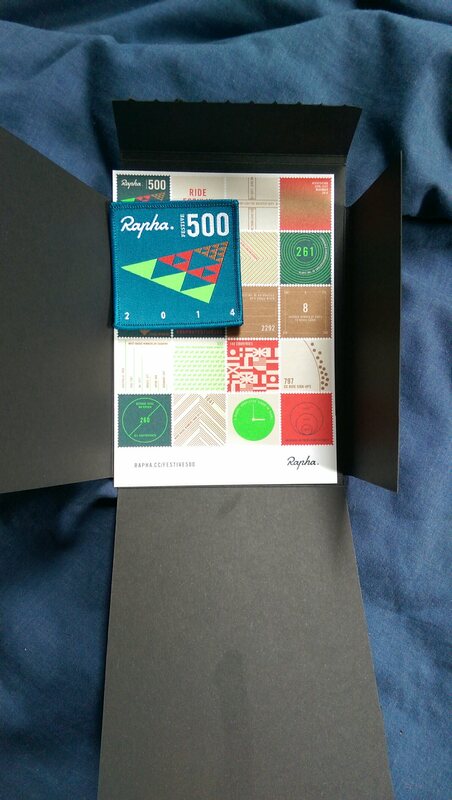 As with everything Rapha, presentation and design is everything, even the envelope is of high quality and worth keeping on its own. I was one of the 1200 or so British riders to complete the challenge over what was a surprisingly mainly dry but very grey and chilly week. Well done sir! I got mine in the mail the other day too, now to figure out where I’m going to sew the badge. 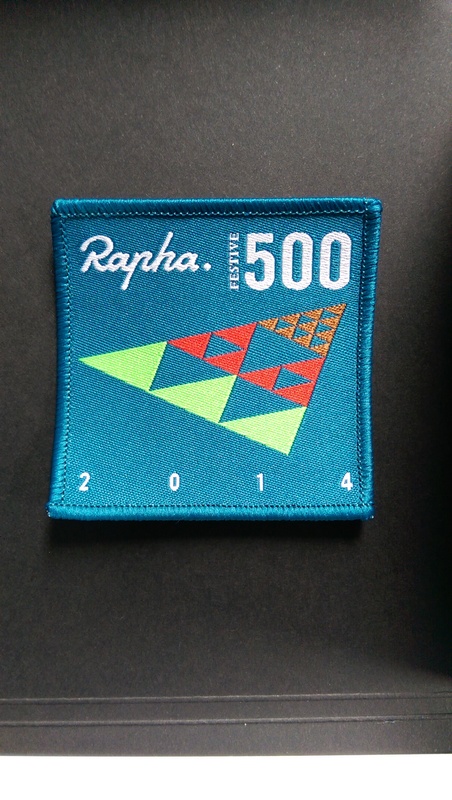 It’s nice to have something real rather than just a digital symbol on a Strava page. Well done to you too, members of a select group of 8000 or so! Not sure where mine is going yet either but I’ll have to earn some Audax ones too this year so it’s not left on its own for very long.